There is no doubt that Miles Davis III was one of the greatest American jazz musicians of all time. By the end of his career his music flowed out across the United States and even into other countries. Despite that, his musical tone always reflected his upbringing in East St. Louis, where he learned to play the trumpet. The people of and around the city seem happy to claim Davis as their own blood, since he managed to earn fame as an African American. Miles Davis, however, grew up in a middle upper class family, and the advantages of living in such a household allowed him to start his career with relative ease. Perhaps, because of the advantages of his upbringing, Miles Davis should not be considered so much a hero of the African American people or of East St. Louis, but simply a hero of jazz. People argue that the rich musical culture of East St. Louis would have gotten into Miles Davis with or without the help of his family. After all, the city produced many other jazz artists and singers before Davis, and many others traveled through the riverside city before continuing down the Mississippi. East St. Louis simply contained jazz in its soul. The young Miles enjoyed listening to the music that floated up to his window late at night when the city came alive (Szwed 8). When he got a little older, Davis decided he wanted to play an instrument, and chose trumpet because he liked the way men looked playing it (Szwed 16). His decision went against his mother's wishes, as she wanted him to play violin (Szwed 16). Perhaps because of his choosing to defy her, she never really respected Miles or his music. Despite the pressure of his mother's disapproval, Miles kept up his determination to become a good jazz trumpeter, a feat that many would find very difficult or even impossible. Miles Davis' early success, however, would not have occurred without his family's standings. Davis' father tested into college and graduated Northwestern University's School for Dentistry as one of only four African American students (Szwed 6). As a practicing professional, Dr. Davis belonged to a group of upper middle class African Americans in East St. Louis. His class allowed Dr. Davis to make friends with white professionals, and Miles Jr. to make friends with their kids. In fact, Dr. John Eubanks, a neighboring physician, helped start Davis' musical career by giving him his first instrument (Szwed 16). Even in the early 1900s, musical instruments did not run cheap, and Dr. Eubanks gift really allowed Davis to begin practicing early. If Miles Davis belonged to a struggling household, he may never have been able to afford a trumpet, at least not until much later when his practice time would be compromised. 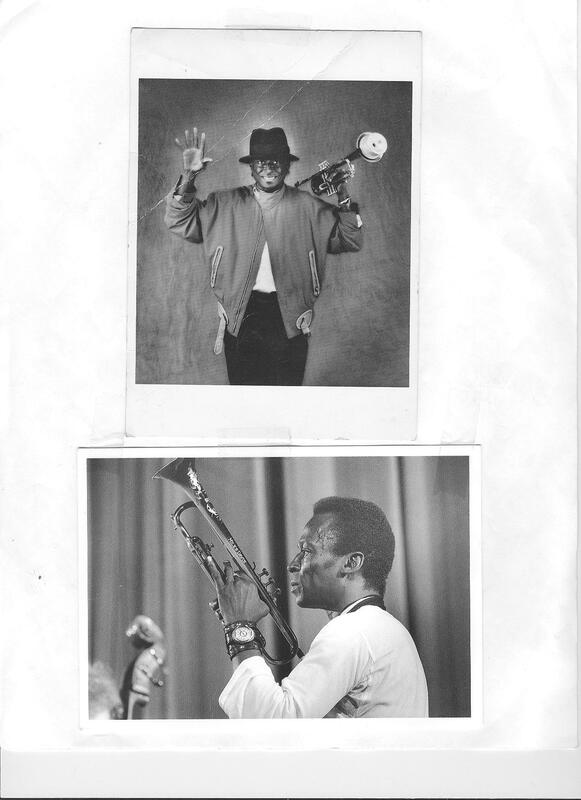 Now, some who know or heard Davis will argue that sound is everything, and that Miles Davis worked very hard on his own to establish his abilities. Miles certainly had a talent for learning music. His first girlfriend, Irene, says "Miles was like a sponge. He absorbed everything around him. He was young, talented, and beautiful, and I believed that he would be famous" (quoted in Szwed 24). Although Davis did most of his practicing on his own and strove hard to reach the best musical tone, Irene pushed him into making many of the decisions that helped his musical career. She dared him to try out for a big night band over in St. Louis called The Blue Devils, a tryout that would serve to really jump start Davis' career (Szwed 24). Once in the band, Davis proved he possessed a great amount of self discipline. He spent his first night worrying about basic essentials like where to place the emphasis on a note, how to correctly support his sound, and where to breathe in order to phrase long passages and make the horn section blend together (Szwed 25). Miles just had an internal drive to do well in music, and spent most of his time paying attention to every tiny detail that might help his sound. Still, Miles Davis most likely developed his need for excellence from his family; it is rare for such a drive to develop on its own. After all, he came from a long line of influential figures besides his father. One of his uncles studied at Harvard and in Germany, and was a journalist and nationally famous minister (Szwed 20). 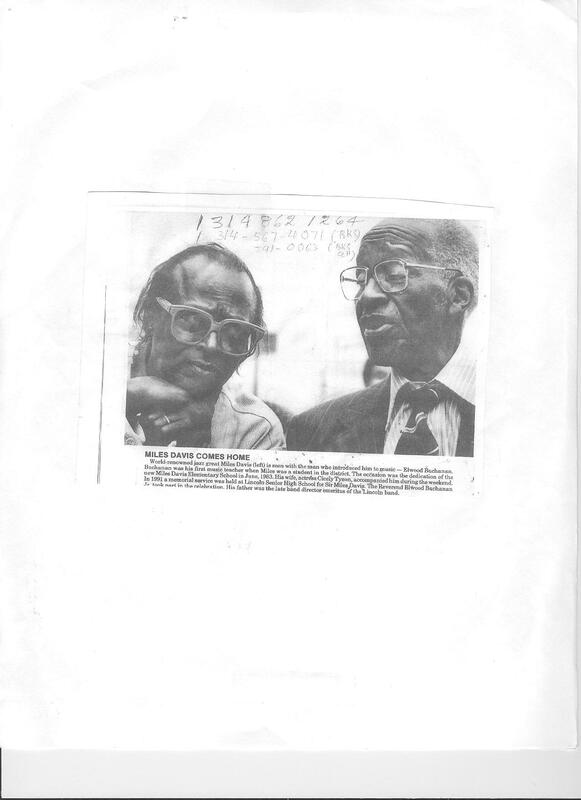 His mother's uncle was president of the NAACP (Szwed 20). Davis certainly felt the pressure to do well in whatever career he chose with so many famous relatives in the family, and the intimidation factor doubled when he found that neither parent particularly approved of his decision to become a professional musician. Because of the way he was raised, Davis always felt a drive to gain his parents approval through success, and took it hard whenever his mother or father disagreed with any of his choices. Overall, Miles Davis enjoyed a fairly advantageous life as a result of his family status. He got many more chances than another would if they did not own as much. He dressed well, and was able to afford instruments and practice tools very early. Also, he learned from his parents as role models a healthy drive for success and an attitude of self discipline. Basically, Miles Davis had it a lot easier than many other African Americans would have if they pursued the same path. He didn't deal with debt early in life, and he went to Julliard partially because his family could afford it. Perhaps, Davis should not be held in such high esteem as a hero of the people, as many of the blacks in East St. Louis lived in much harder conditions. A true hero of the people must earn their standing, and in many ways Miles simply did not, as he never really lived amongst his people. He always had a bit of the advantage, but, in order to give people hope as a role model you must start at their level and prove to them it is possible for them to succeed. Miles just didn't give back in that way. Miles Davis did, however, firmly establish himself as a jazz legend, even if he didn't make the best role model. The most impressive feat he accomplished? He made a living in a form of art that during his career was ultimately dying (Early 1). Besides that, Davis dared to defy the standards of music. He played trumpet with a smooth sound, and played it with the bell of the instrument facing straight down, a posture that would make any master musician shudder under normal circumstances. In the end, Miles Davis played modern jazz, but he played it with a "kind of conservative revolutionary stance," meaning that he refused to let anyone tell him what to do (Early 3). Such a viewpoint was one of the most crucial elements in developing his truly unique sound, and is now responsible for the jazz legacy that is: Miles Davis. Early, Gerald. Miles Davis an American Culture. St. Louis Missouri Historical Society Press, 2001. Szwed, John. So What? The Life of Miles Davis. New York: Simon & Schuster. 2002.